Scottishtrustdeed.co.uk is a financial advice company specialising in debt advice for those who are struggling with their monthly debt repayments. Established in 2009, Scottishtrustdeed.co.uk’s aim was to help individuals who were in a black hole with their debts by negotiating with their creditors and bring them back to financial stability. It was originally owned by Simple Financial Solutions Limited before it was acquired by Paloma Digital Limited in 2015. Scottishtrustdeed.co.uk is a trading style of Paloma Digital Limited who are authorised and regulated by the Financial Conduct Authority (FRN769794) and offer multiple types of debt solutions, advice and assistance. Scottishtrustdeed.co.uk prides itself on its customer service which shows in our TrustPilot reviews, and not only offers advice on the most common debt solutions but can also help with more specific advice such as council tax debts, mortgage arrears, and how to deal with debt collectors and bailiffs through its knowledge hub. But we can also provide expert advice on Debt Management and Individual Voluntary Arrangements (if you are based in England). If you don’t meet one of these criteria you will fall into the category for either a Debt Arrangement Scheme, Minimal Asset Process, or as a last resort, Bankruptcy (also known as Sequestration in Scotland). Scottishtrustdeed.co.uk understands that people experience financial difficulty at some point in their lives. Scottishtrustdeed.co.uk promises to keep things fair and straightforward when dealing with our customers, including any financial problems they encounter. Citizens Advice www.citizensadvice.org.uk Every type of help for consumers. Speak to them in person or over the phone. 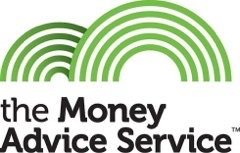 Money Advice Service www.moneyadviceservice.org.uk MAS is a government backed service that specifies in financial help. They can be contacted by phone or through their website. Shelter www.shelter.org.uk A housing charity that provides advice in person, over the phone or through their website. National Debtline www.nationaldebtline.org Charity offering free debt advice. Scottishtrustdeed.co.uk is committed to better money management and that’s why we have created a financial resource centre for today’s consumers. Our articles include money management tips and advice – to demonstrate to everyone that you don’t have to alter your lifestyle to manage your money better. Scottishtrustdeed.co.uk’s resources include guides on how to deal with bailiffs and debt collectors, how to and ‘what if’ articles along with downloaded able template letters which you can use to negotiate with your creditors yourself. Lastly, readers can learn where to get financial support where they really need it, and our latest tips to get out of debt for good. Scottishtrustdeed.co.uk is authorised and regulated by the Financial Conduct Authority (FCA), adhering to the code of conduct for debt adjusting and debt counselling. Scottishtrustdeed.co.uk has also registered with the Information Commissioners Office (Registration ZA221070) and complies with the Data Protection Act 1998 and the Privacy and Electronic Communications Regulations of 2003. Scottishtrustdeed.co.uk will never force you into a debt solution which isn’t right for you. We won’t offer you a consolidation loan or any type of lending, we’re here to help you get out of debt not to get you further into it!